Late Night Football Returns | Balbriggan F.C. Late Night Football Returns – Balbriggan F.C. 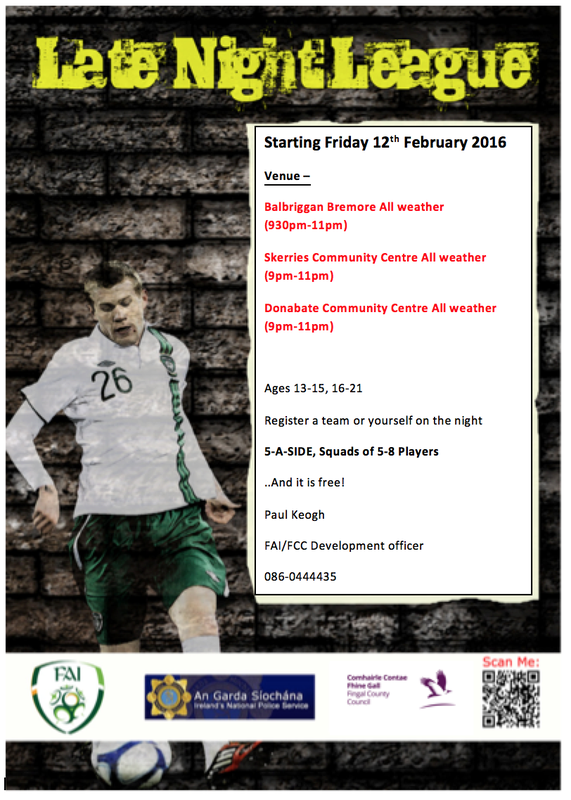 Late Night Football returns to Balbriggan All Weather each Friday between 9:30 and 11:00 pm for those aged 13 to 21. Best of all – it’s completely free!